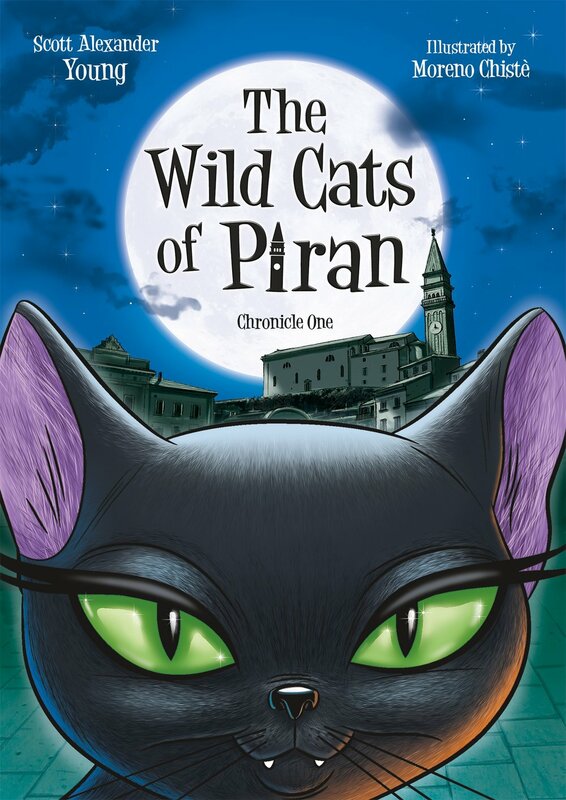 The Wild Cats of Piran focuses on Europe’s most magical cats in a battle for their nine lives! In an engaging and witty, very short novel that brings alive its setting—a charming and historically redolent small, seaside city on the ravishing coast of the Adriatic Sea in Slovenia—the wild cats encounter the ghosts of Piran … and the wicked General Rat! Join the beautiful Queen Felicia, faithful warrior Dragan, and the feral feline family for nine tales of adventure and enchantment. Each chapter is accompanied by a full-page stunning color illustration by Italian artist Moreno Christe. Scott Alexander Young is a busy working actor, as well as a TV scriptwriter, author, artist and travel writer. In the last 15 years or so, Scott has written scifi and comedy for people like SyFy UK - and been an Editor of Time Out magazine on three continents. He was also the madman behind Max's Midnight Movies, a 26 x 30 minute TV series about cult cinema produced by Sony Pictures Television. Funny yet educational, 'MMM' breathed new life into the midnight movies genre. From his studio in Trento, northern Italy, the Swiss/Italian artist Moreno Chistè has produced thousands of lively and colorful illustrations for companies such as Disney, Warner Bros., and Mattel. His work ranges from comics to advertising artwork, storyboards, merchandising, and entire collections of greeting cards for the major European card companies.